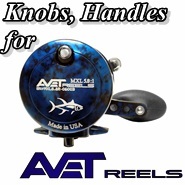 PBM Fishing solely focuses on Custom Reel Parts & Rod Building Components. 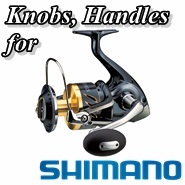 We were born with the philosophy that even Internet-Based fishing tackle shopping center must follow traditional fishing store business principles. 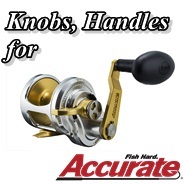 We are focused solely on fishing tackle accessories/ parts and strive to be the best on-line Custom Reel and Rod Building Components Supplier. Our guiding principle is and always has been that "Customer Service" and “Satisfaction” are paramount. In order to fulfill that objective, PBM Fishing strives to provide quality brand products, the best sustainable prices, fast delivery, fair shipping charges, product support by knowledgeable staff and responsiveness to the needs of our customers. 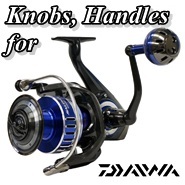 As long as you consider upgrading your Reel Knob, Handle or Arm, no matter is Shimano Reel, Daiwa Reel, Accurate Reel or Avet Reel, we guarantee our carried quality products, Ultimate Jigging, to fit most conventional and spinning reels. We also carry other brands (Jaws, Votex...) for Reel Covers, Rod Covers, Fighting Belt, Gimbal Pad, Lures & Baits, Rod Blanks... and more. 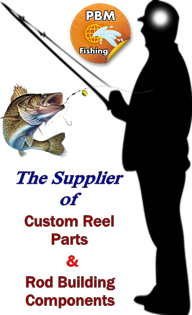 We look forward to the opportunity to earn your business and show you why PBM Fishing is one of the best on-line Custom Reel Parts & Rod Building Components suppliers in the current market. PBM Fishing is under management by Performance Balance Management Inc.